Dave Peck has had quite the 15-year run as the head coach of the Bingham High football team. Regardless of the kind of offense the Miners have from year to year, the defensive-minded head coach has built a reputation. His squads are great when the other team has the ball. The Miners have a name for that, and it is a motto of the Bingham defense. That passion is infectious and it starts at the top. The Miners have built a program that expects success, and the 2014 edition is one of the best ever. Bingham entered the postseason having allowed just 97 points in its 10 games this season. When you consider that the Miners play in a region that includes two teams – Brighton and Jordan – who played a 78-76 game this season, it is all the more impressive. Nearly half of those 97 points, 41, came in one game against Jordan, and all of those came after Bingham built a 31-0 lead in the first half. 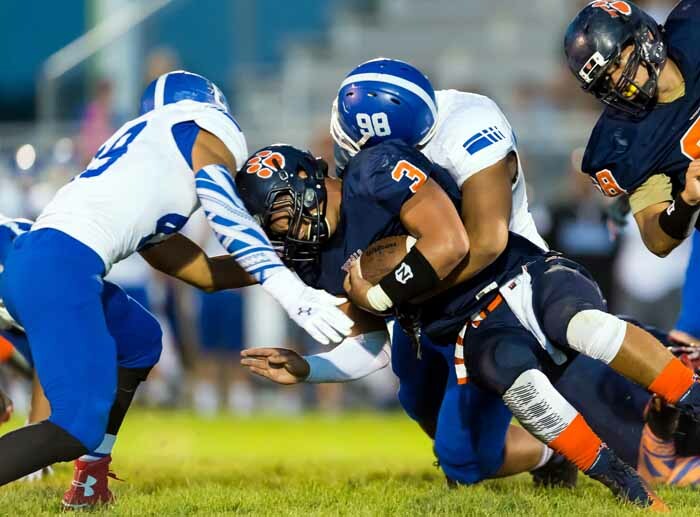 Another 23 points came in a non-region road game in Las Vegas against one of the nation’s top-ranked teams, Bishop Gorman, which beat the Miners 23-20 in overtime to hand Bingham it’s only loss in the last two campaigns. 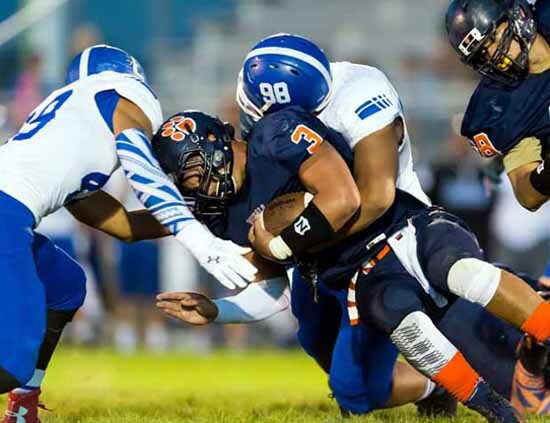 Seven of the Miners’ 10 opponents scored in single digits, and three of those were shut out. 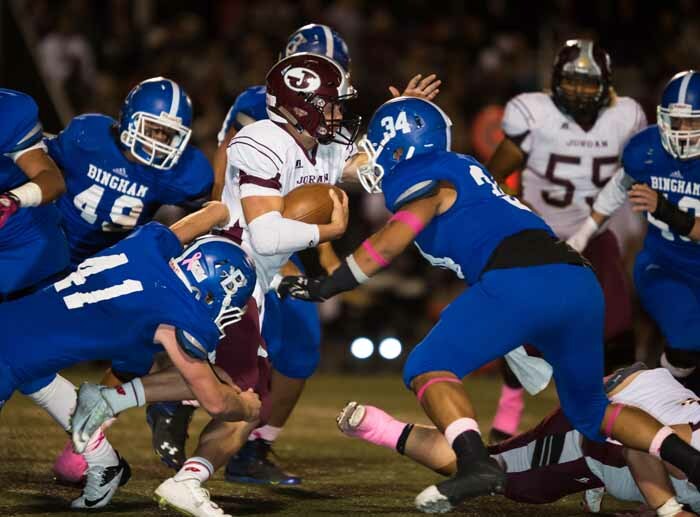 If Bingham repeats as state champion, you can bet this defense will be a major reason why. The Miners play defense with energy, but it’s not like this is all coming from players without skills. This is built on the combination of outstanding players who compete at a high level combined with huge effort. This program embraces competition, and while playing in one of the state’s most competitive leagues – last year’s state semifinals featured three teams from Region 3, including the two finalists in Bingham and Brighton – Peck also schedules heavyweights outside of region play. This season, that included the trip to Las Vegas to take on Bishop Gorman, where the Miners showed that they are for real. In the midst of dominating all in-state comers over the course of the year, Bingham ran into Jordan. After building a 31-0 lead in the first half, the Miners turned the ball over while attempting to go in and get to a running clock situation for the second half. That brought the uber-talented Austin Kafentzis to life and the Beetdiggers put 41 points on Bingham, which scored 56 that night. A year ago, Bingham scored 21 points in the opening quarter of the state championship game against Brighton. It looked like the Miners were going to run away and hide, but then the momentum turned. The Bengals scored one touchdown, and then on the final play of the half, Sione Heimuli-Lund picked off a Kyle Gearig pass and returned it 30 yards for a Brighton score. 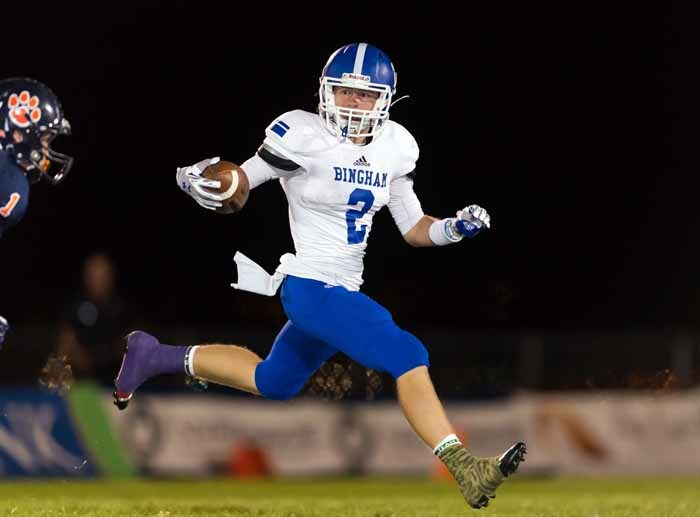 The play got it within eight points, but it also cost Bingham its quarterback, as Gearig suffered a concussion while trying to make the tackle at the goal line. And Brighton did not score after the break as the Miners pulled away for the 38-13 victory. Peck entered the season extremely confident in his strength at linebacker, where he returned two senior inside backers, and the ability of his secondary. With five outstanding defensive backs – Cloward, Dominieke Jones, Chase Meservy, Ethan Erickson and Simote Lokotui – Bingham is deep and talented. “We do a good job of disguising what we’re in and then when we come, we come,” Peck said. “If you can’t block us up front, you’re in for a long night if we blitz, because we’ll just keep blitzing. I’ve got the five best DBs that I’ve ever had. I typically will have two really good DBs, one that’s okay and one that we try to hide. Linebackers Daniel Gasio and Langi are the anchors of the defensive unit, with Langi as a three-year starter. As good as those two are, the Miners have received an outstanding level of performance from outside linebacker Parker Workman, filling the role that was filled last year by Nick Heninger. The major area of concern for the coach as he prepared for 2014 came along the defensive front, where the Miners graduated all of their 2013 starters, and there were no upperclassmen waiting in the wings. So, Peck turned to a trio of talented sophomores, and they delivered in a big way. Success happens at Bingham because the players expect it. Because they expect it, the players demand a level of preparation from each other. “I feel like our program wouldn’t be where it is today if we didn’t have such a great offseason program like we do here,” Cloward said. And as they break in the new players, like those sophomore defensive linemen, the seniors pass that work ethic along. “The best way for me to pass it on is to try to lead by example and show them what hard work brings, and try to show them it’s really worth it in the end and if you put the time and effort in, you’re going to get good results,” Langi said.